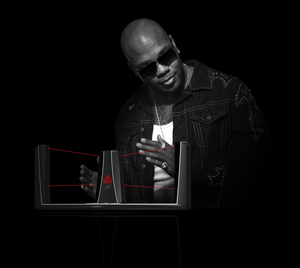 September 25, 2013 08:01 ET | Source: Beamz Interactive, Inc.
Beamz Interactive is pleased to release an online video featuring multi-platinum artist Flo Rida as he demonstrates the new Beamz by Flo product line. SCOTTSDALE, AZ--(Marketwired - Sep 25, 2013) - Beamz Interactive, Inc. (OTCQB: BZIC), an emerging growth technology company specializing in state-of-the-art interactive music products, is pleased to release an online video featuring multi-platinum artist Flo Rida as he demonstrates the new Beamz by Flo product line. Flo Rida was recently named a Billboard Top 100 Artist for 2012 and is the best-selling digital hip-hop artist in the world, with over 600 million video views on YouTube. "This new video featuring Flo Rida is a great way for consumers to learn about Beamz," said Charlie Mollo, CEO of Beamz Interactive. "We are thrilled with how the video turned out and it's great seeing Flo Rida proactively supporting our new product line as he encourages a new generation of music enthusiasts to create their own interactive tracks. We look forward to undertaking the next stage of our campaign as our game changing interactive music products become available for the 2013 holiday season." To launch the Beamz by Flo product line, Beamz Interactive has filmed a variety of commercials and videos featuring Flo Rida with the Beamz. This online endorsement video is designed to drive potential customers to the Beamz by Flo website for in-depth product info and additional content as it becomes available. Other videos and commercials have already begun airing selectively on TV and the internet, which is being followed by a full rollout in the fall of 2013.